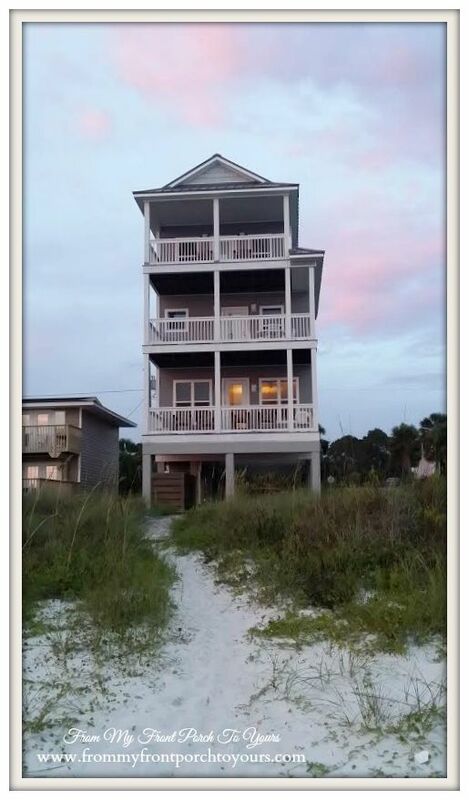 Last week we were blessed with staying at this beautiful home in Mexico Beach, FL. Normally we do not drive so far nor do we stay in a house. Usually it is a condo. Let me tell you there is nothing like having a house to yourself and a gorgeous beach right in your backyard. It was Heaven I tell ya! Very few people and the beach was not littered like a lot of the other beaches that are always so congested this time of year. They have nicknamed this area "The Forgotten Coast" because it is so quiet. There was a vine growing on the beach and in the dunes. The flowers were so pretty. I tried to Google what they are to no avail. Do you know what they are called? Mexico Beach is pretty remote. It is an hour past Panama City Beach. There is NOTHING to do but sit on the beach and enjoy the sounds of the waves. About 15 minutes from Mexico City is Port St. Joe. It is a quiet little town as well. Not much to do there either but it does have a "downtown". Downtown there are a few restaurants such as Peppers which we highly recommend if you like Mexican food. We ate there twice. 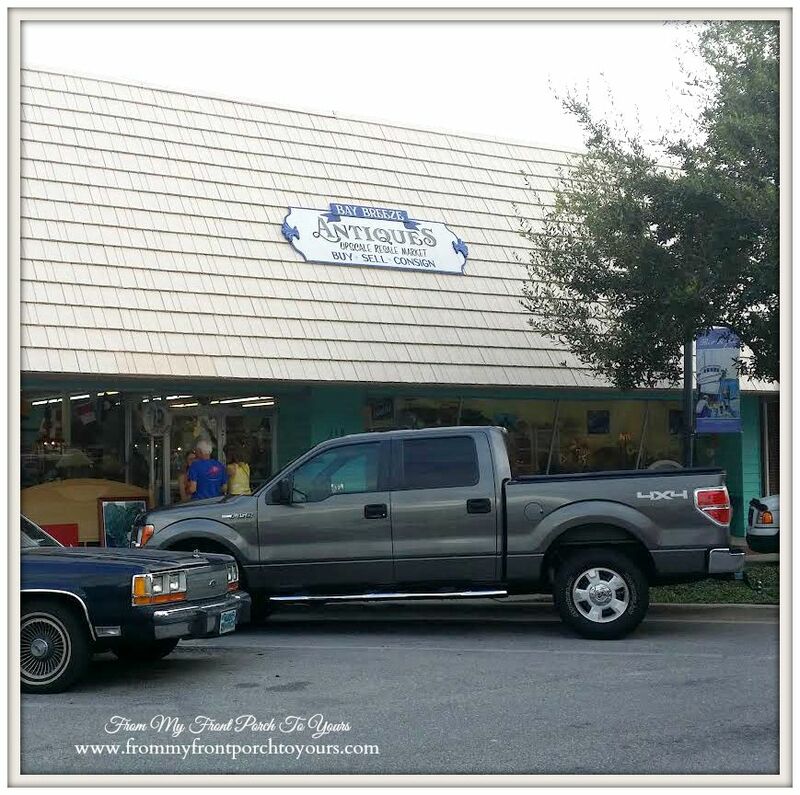 There are also a few shops one being an Antique store. Bay Breeze Antiques is a great little shop. The owners Renee and her husband were super nice and very welcoming. They carry a little bit of everything and a lot of beach themed items. 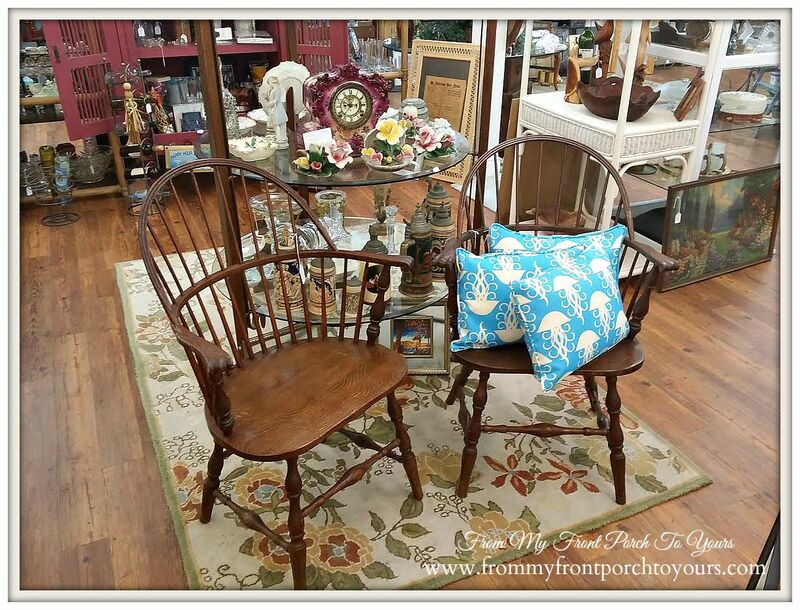 I fell head over heels for this pair of vintage Windsor chairs and wish there would have been a way to have brought them home with us but alas it was the kids or the chairs in the car and well I chose the kids...this time! ;) Though I did not buy the chairs I did pick up a few other goodies I will share more about in another post. Back to talking about Heaven. Sunsets beyond words! We certainly hated leaving and are so thankful for the memories we made here. Now it is back to reality and busy getting the boys ready for school. Yuck! 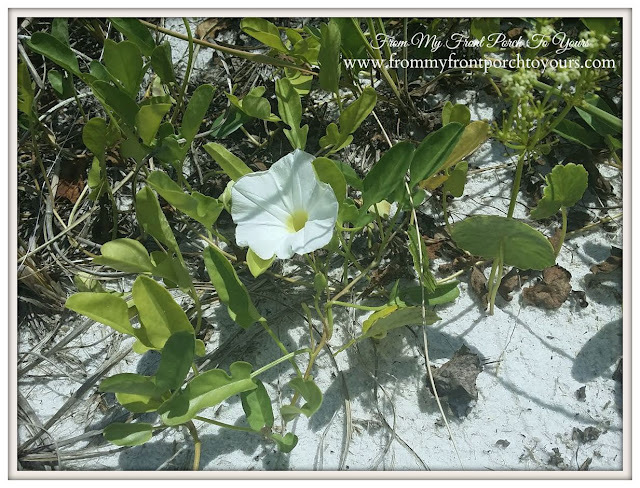 On our trip we drove around and found some other beyond beautiful spots that I can not wait to share with you all so be sure to stop back by this week. Thank you, Pamela, for stopping over and commenting about our cottage. We had wintered in Florida for a number of years, but always in the Sarasota area. I've heard great things about Mexico Beach and areas around it and further north. It's something we'll have to check on. Thank you for sharing. We stay at a place close to there called Watercolor. It is amazing! I describe it as stepping into another dimension and my favorite thing is that there is nothing "commercial" there. No Wal Mart, no big food chains, no crowds, just peace and quiet. Your photos are beautiful! Thanks for sharing! 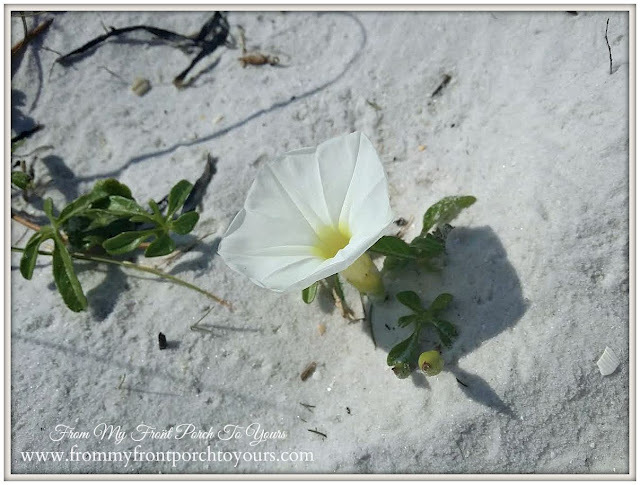 Thats Moon Flower Vine...you must have been out EARLY in the morning since it is only a night blooming flower....:D Beautiful pictures and beach. I forget how beautiful some places in Florida can be. Your photos of the beach are so pretty! 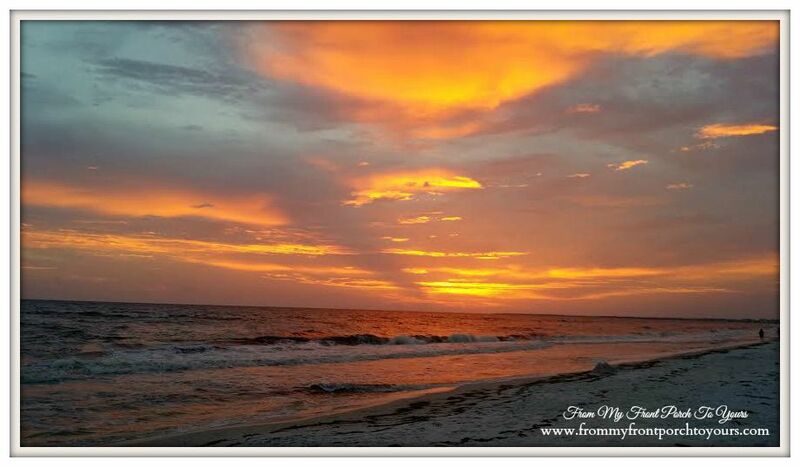 I especially love your photos of the sunsets! 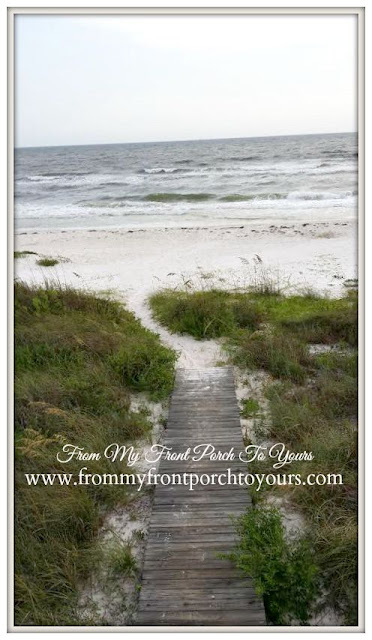 Pamela, I haven't been to Mexico Beach but it sounds like a wonderful place to rest and relax! The sunsets are amazing! Thanks for sharing this forgotten beach! 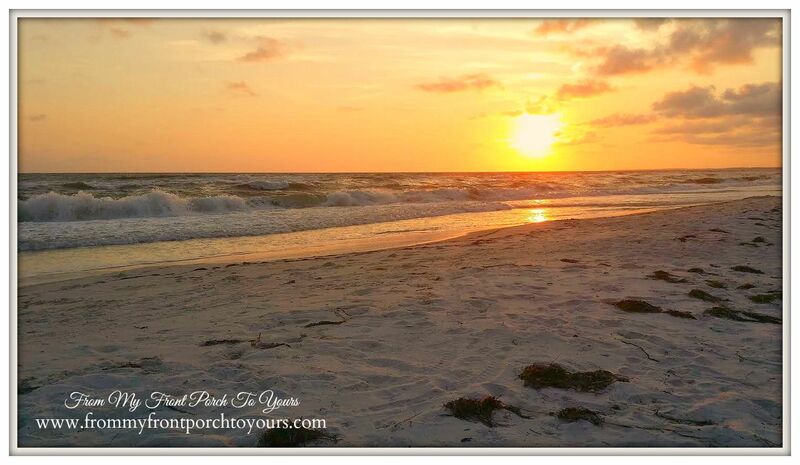 I do not know what I love more about the beach, the sunrises or the sunsets! Wow, those sunsets are gorgeous! I never saw a sunset where we were since they were blocked by the buildings. Destin was extremely busy with crazy traffic. We normally go later than this, but Leila was starting school this week so we had to go early along with everyone else it seemed.